You love your furry friends, and just like so many families across the world, your pets are an essential part of your home. However, sometimes pets have accidents, and they are not only frustrating at first to deal with, but they can seriously damage your carpet and rugs over time. The good news is, our Oriental rug cleaning team is full of professionals who are experts in removing the odor, stain, and remnants of pet urine and other accidents, so you can breathe easy knowing your investment isn’t ruined by the pet you love so much. Our rug deodorizer process is similar for almost any spill damage your rug may be exposed to, especially water damage, pet accidents, and any buildup of bacteria caused by exposure to liquids. In fact, the bacteria, mildew, and mold buildup associated with spills or accidents is broken down and eliminated through our cleaning process, leaving your rug fresh, clean, and smelling brand new. 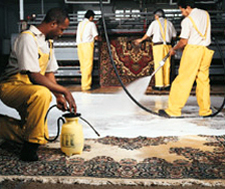 Occasionally, under extreme water damage or soiling circumstances, a rug may be discarded because the cost of restoration exceeds the cost of the rug itself. 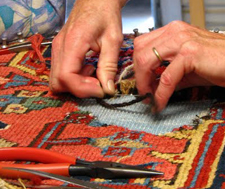 However, with Oriental rugs and many other antique rugs or tapestries, there is often a higher value in addition to a sentimental attachment, which makes cleaning and deodorizing the rug absolutely worth it. 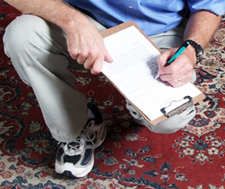 We take the greatest care with all of our rugs, making thorough assessments before jumping in and cleaning anything. In this way, we have cleaning solutions for even the most delicate antique rugs, which prevent color seepage or fraying of any kind. Our cleaning techniques are designed to to be gentle, and to bring out the best in your Oriental rug, and our patented tools are second to none for ensuring you get the best results, every time. 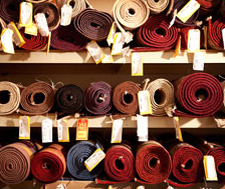 It’s time to say goodbye to pet odors or water damage, and get back the rug you love. Contact us today! You can also get a free estimate right here online! 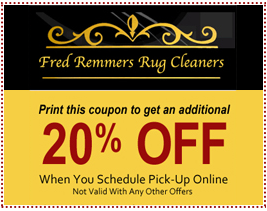 Here at Fred Remmers, we proudly provide a variety of rug cleaning services.